Tracy Lévesque is an acrylic painter working in a style she has dubbed “Fairytale Realism." 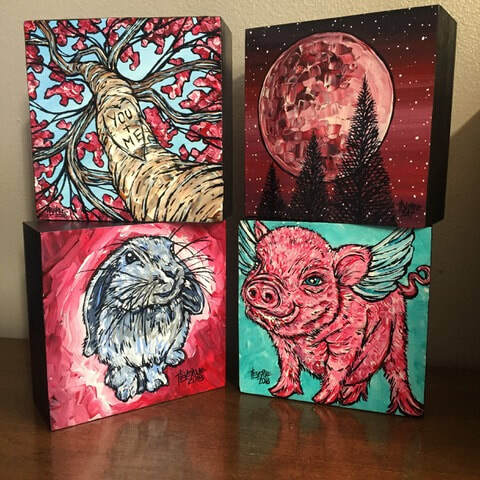 A life-long artist and Massachusetts native, Lévesque is constantly inspired by the rural New England landscapes that surround her. Her unique style is influenced by ancient Japanese woodblock printmaking, Tiffany stained glass and the work of the German Expressionists. 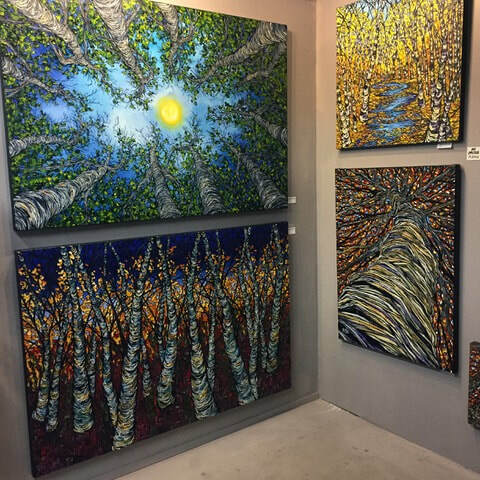 Her chromatic paintings are a celebration of Nature and her attention to line and detail are indicative of her signature style which is recognizable all over New England. Looking into one of Lévesque’s paintings is like looking through a stained glass window into a fairy tale world where that world looks right back at you.